In this paper, we propose an abnormal detection and defect prognostic method for a polymerase chain reaction (PCR) thermal cycler. PCR is a very important technology that is used to manipulate DNA or RNA in molecular biology. Thus, predicting the aging and residual useful life of the PCR device is essential to minimize the occurrence of catastrophic failure of the device. The proposed method predicts the aging and residual useful life of the PCR thermocycler by analyzing the change in the temperature regulation rate for each of the heating and cooling sections in the temperature profile. In this study, we analyzed three PCR thermal cyclers using the proposed method and showed that the proposed method can be used to measure aging. 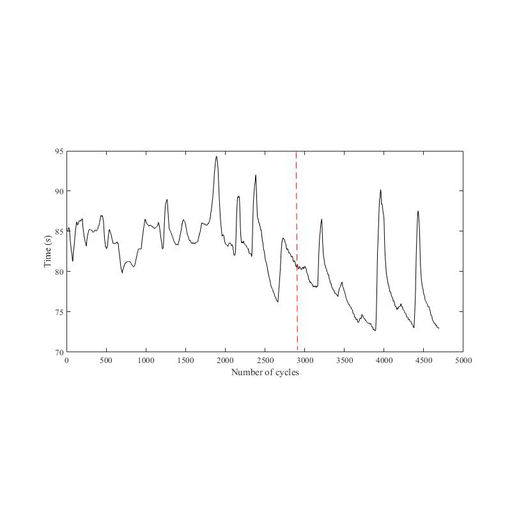 Jong-Dae Kim, So-Yeon Lee, Yu-Seop Kim, Hye-Jeong Song, and Chan-Young Park, Fault Prognosis of Polymerase Chain Reaction Thermal Cycler Using Temperature Analysis, Sens. Mater., Vol. 31, No. 2, 2019, p. 347-353.